Showing this weekend Oct 23 - 25. 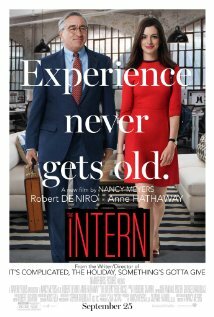 "The Intern" Friday and Saturday movie starts at 7:30p.m. Sunday movie starts at 5:30p.m. This movie is rated PG-13 and stars Robert De Niro, Anne Hathaway, and Rene Russo.